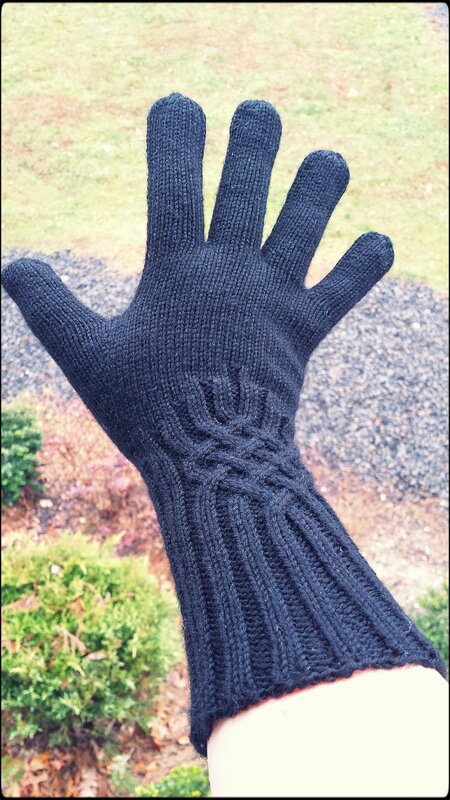 I took my (or should I say my cousin’s) Knotty Gloves outside for photo shoot on this miserable day today. Unfortunately, my options are limited when it comes to spare time for photo shoots, and this was the best I could do. I was hoping for a sunny day, but I don’t see that happening ’round these parts for a few days. 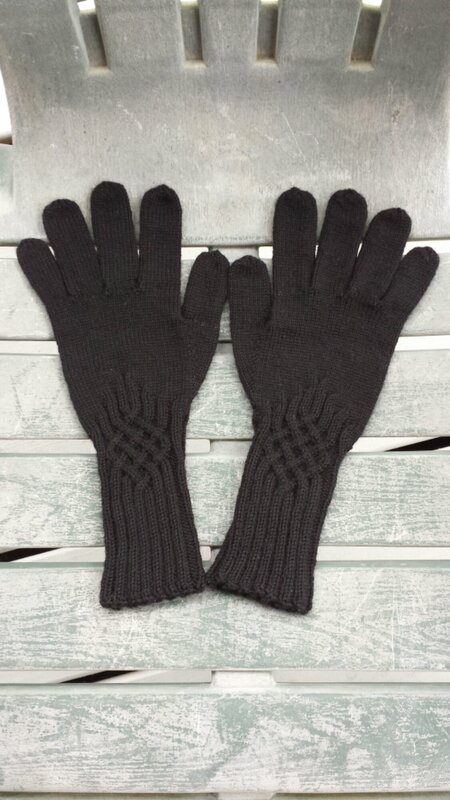 I am pleased with how these turned out, given that they’re my first (and probably last) pair of gloves. I absolutely hate weaving in ends, and this project had 462 ends. Yes, I counted. 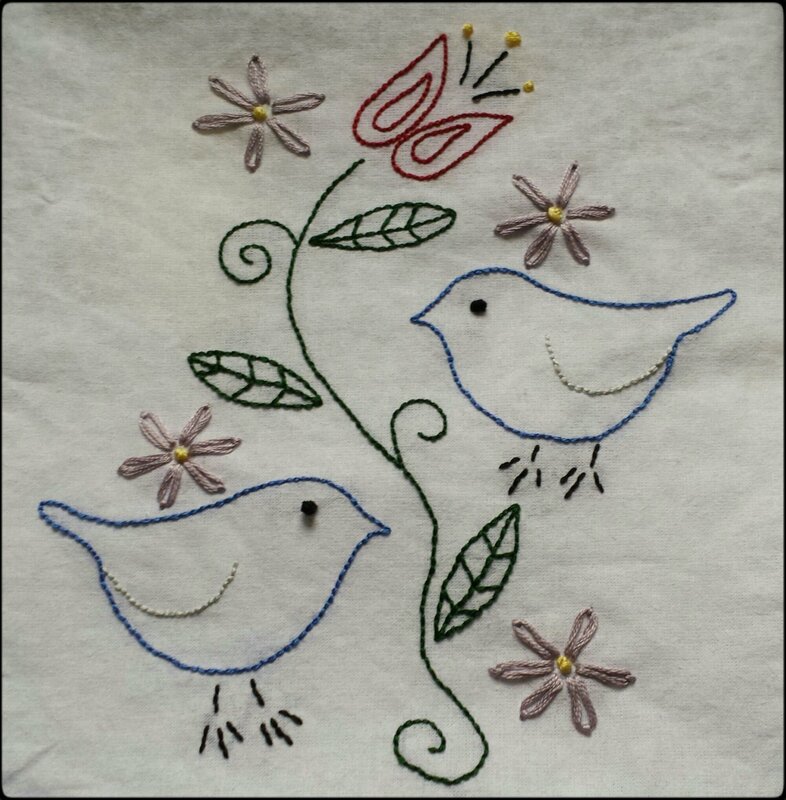 I was planning on adding conductive thread to the thumbs, but I didn’t like the feeling of the scratchy thread, so I nixed that idea. (I did enjoy dangling the thread over top of my phone, though!) I reinforced the pad of the right middle finger by weaving a length of yarn through the stitches on the inside of the finger. My cousin says all of her storebought gloves develop a hole there, and I didn’t want to take any chances. Since I used a merino/nylon blend, I hope these puppies hold up to whatever she throws at them! 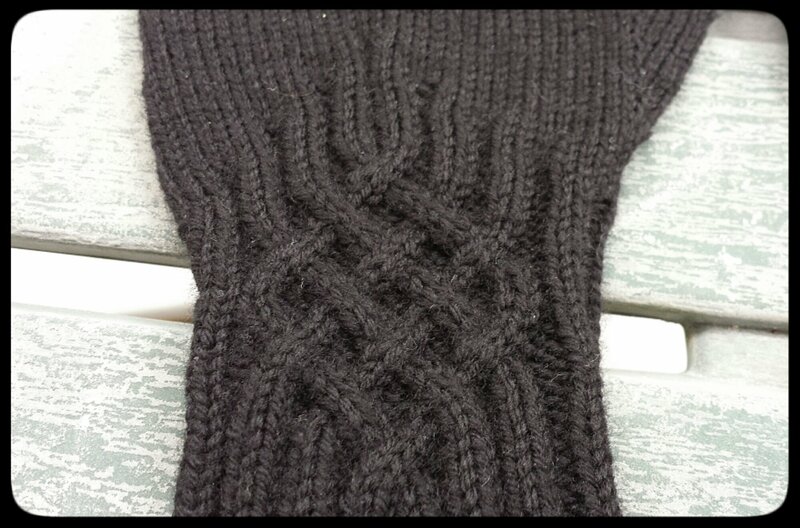 As for the specifics, I used size 2.5 (3.0mm) dpns and Knit Picks Stroll Sock Yarn in “Black.” I was able to knit one whole glove and just past the thumb increases of the second glove before needing to start a second skein. Although I’ve neglected to provide any further updates on the gloves I was knitting for my cousin, they *are* finished and are currently soaking in a nice Eucalan bath. I hope to have them ready for their photo shoot sometime this weekend. Instead of getting down to business and working on a few projects that have Christmas deadlines, I chose to start a selfish project. It’s all for me, and I’m making it in some very luxurious yarn. I don’t feel the least but guilty. It’s high time I made something substantial for myself! 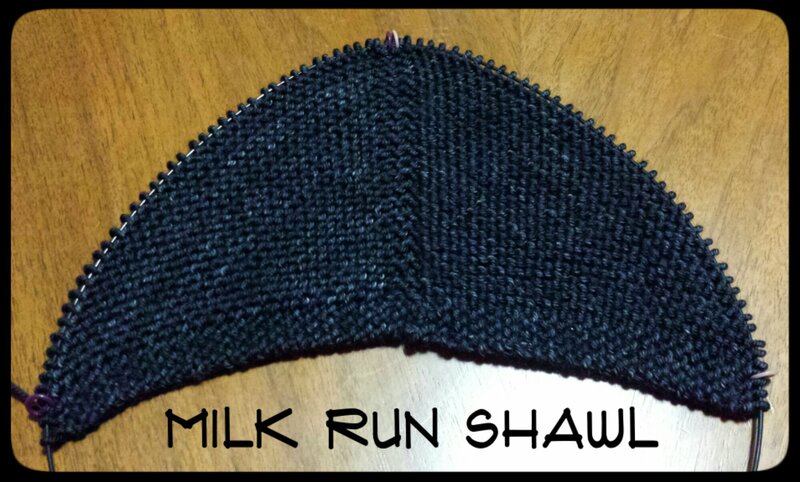 I’m using the MR 3 instructions contained in the Milk Run Shawl pattern. The yarn is MadelineTosh Vintage in “Onyx.” It was a complete pain in the behind to wind, but now that it’s been tamed, I’m feeling much more warmly toward it. I’m a little worried that the color will fade since the yarn is bleeding onto my hands, but I’ll come to terms with that if or when it happens. I originally wanted a dark gray colorway, so it won’t be the end of the world. The pattern is very simple. The “tab” that forms the beginning of the shawl was a little strange in my opinion, but I’m a completely inexperienced shawl knitter, so this technique may be popular with experienced shawl knitters. I love that this is a mindless knit, and I can work on it in front of the TV with ease. I can’t wait to wear it this winter. It’s going to be so cozy! Categories: Knit | Tags: black, handmade, knit, knitting, merino, shawl | Permalink.